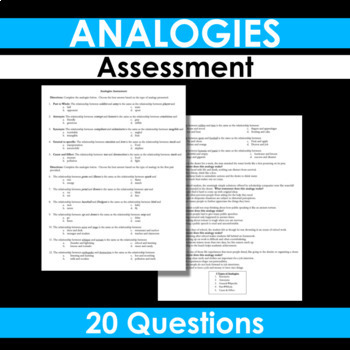 This is a 20 question analogies quiz. 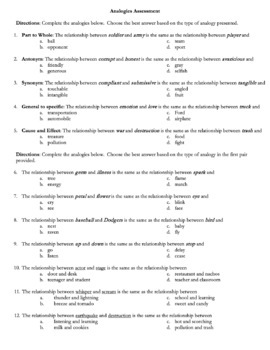 The questions are asked in multiple formats and increasing in difficulty. All five types of analogies are addressed (synonym, antonym, cause and effect, part to whole, general to specific).